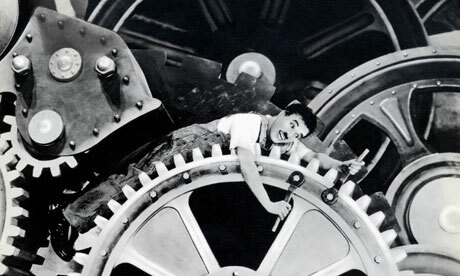 Over 100 years since his most famous character The Little Tramp appeared on screen and 112 years since Charlie Chaplin appeared on stage at the Winter Gardens, we are screening his classic comedy Modern Times. Featuring several of the most celebrated sequences in comic cinema and a musical score written by Chaplin himself, this is a cutting satire of the Great Depression and the dehumanising effects of industrial development. Paulette Goddard stars as The Gamin who joins the Little Tramp in escaping from the big city. Feel like escaping modern life? This film is as engaging today as 80 years ago.